Does your child attend Hebrew School? 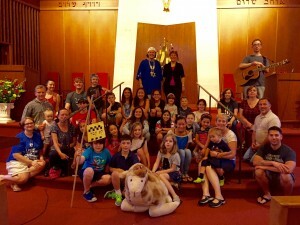 Does/did your child attend the Hebrew Academy? Are there any problems that affect your child’s class behavior, performance, or participation of which the teacher should be aware? Please include specifics on any allergies. 2nd Child Bat/Bat Mitzvah Year? 2 Does your child attend Hebrew School? 2 Does/did your child attend the Hebrew Academy? 2 Are there any problems that affect your child’s class behavior, performance, or participation of which the teacher should be aware? Please include specifics on any allergies. 3rd Child Bat/Bat Mitzvah Year? 3 Does your child attend Hebrew School? 3 Are there any problems that affect your child’s class behavior, performance, or participation of which the teacher should be aware? Please include specifics on any allergies. 3 Does/did your child attend the Hebrew Academy? Please check here if you wish to DENY permission to use photos of yourself and/or your children in synagogue-related activities. The ISJL Education Curriculum is a spiraled curriculum, in which students revisit key content areas with increased sophistication as they progress through the curriculum. The ten key content areas are: Community, Culture and Symbols, God, Hebrew and Prayer, Israel, Jewish History, Jewish Holidays, Jewish Lifecycle Events, Mitzvot and Jewish Values, and TaNaKh (Torah, Prophets, and Writings).The curriculum is developmentally appropriate, nurturing students’ Jewish identity, equipping students to live rich and meaningful lives. Each grade has thirty two-hour lessons including Hebrew. There are a variety of activities in each lesson that implement the idea that students have different learning styles. Visual, Auditory and Kinesthetic learning activities are used throughout each lesson. 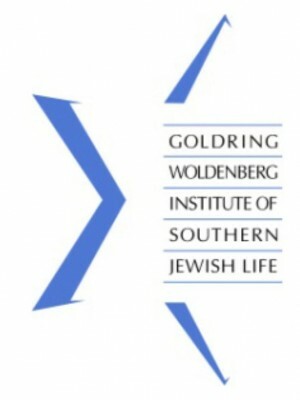 To find out more about the Goldring Woldenberg Institute of Southern Jewish Life go to http://www.isjl.org. The ISJL curriculum provides class-by-class lesson plans for each grade, which include both the big picture (big ideas and the objectives) and the nitty-gritty (supplies and other things to prepare). We have even provided a script and a time allocation for teachers who want further guidance in the classroom.Finally, the curriculum has a delivery system. Our implementation component consists of traveling Education Fellows. Each community is assigned a fellow who visits 3 times a year providing programs such as teacher trainings, all school programs, service leading and anything else the community needs. The education program kicks off with our annual education conference, designed to train Jewish leaders and religious school educators from across the South to implement the curriculum and improve their schools. The first religious school session of the 17-18 year will be Sunday, September 10th. Calendars in Chronological order and by location below.